Type 1 diabetes is a disorder of the immune system in which the pancreas produces little or no insulin. Insulin allows our body to convert sugar from food into nutrients for cells. Type 2 diabetes is a condition in which the body resists insulin or doesn’t make enough insulin to maintain a normal glucose level. Prediabetes is a condition in which a person’s blood sugar levels are higher than normal; but it is not high enough to be considered type 2 diabetes. To find out if you are at risk for diabetes, take the online screening test available through the CDC Diabetes Prevention Program at: http://www.cdc.gov/diabetes/prevention/factsheet.htm. Early detection can prevent serious problems caused by diabetes such as loss of eyesight, strokes and kidney damage. Untreated, type 1 diabetes and type 2 diabetes can be life threatening. If the test shows you could have prediabetes, make an appointment with your health care provider as soon as possible. Everyone, especially those over 45, should know their numbers for the fasting glucose test and the hemoglobin A1c test. The fasting glucose test measures blood glucose in people who haven’t eaten in at least eight hours. Anyone with levels of 100-125 mg/dl indicates prediabetes. They are also at a high risk for developing type 2 diabetes. The hemoglobin A1c test measures the amount of glucose in red blood cells. An A1c value of 5.7-6.4% indicates prediabetes. Consistent daily low to moderate intensity exercise is our best “insurance” against developing prediabetes and diabetes. High intensity exercise is beneficial also, but don’t overexert yourself. Our bodies are more fragile as we age. Stick to a healthy diet. Diet affects weight, blood sugar and hour to hour glucose levels. Consume more fruits and veggies and stay away from junk food and sugared beverages. Studies prove that type 2 diabetes can be prevented or delayed by prediabetic patients who lose 5-7% of their weight, eat healthy and increase physical activity. Doctors learn more about how our bodies regulate blood sugar each year. Exercise and food choices will always be crucial, but we can expect to see new medications and more sophisticated diabetes treatments in the future. 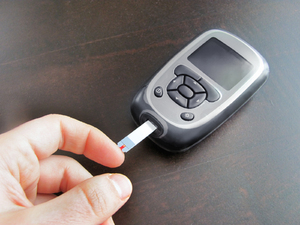 Technology will also improve; providing a more convenient and comfortable way of testing blood glucose. 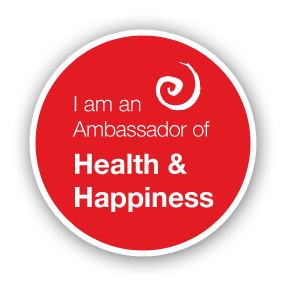 I care about your health and your future! Take the online screening test today!